Published: March 12, 2015 at 12:55 p.m. Updated: March 12, 2015 at 01:26 p.m. The Patriots re-did receiver Danny Amendola's contract to lower his salary cap hit and keep him in New England. 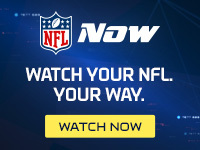 NFL Media Insider Ian Rapoport reported the 29-year-old was given a new three-year contract worth $12.75 million that can max out at $15 million. Amendola could have been a cap casualty but took a new contract to stick on a winning franchise instead of testing free agency. There was a chance he could have earned more on the open market. In 2013 the wideout signed a five-year deal worth $28.5 million. He was set to count for $5.7 million against the Pats' cap in 2015. If he hits the $15 million mark Amendola will wind up making what he was due in the final three years of his previous deal. The injury-plagued receiver earned just 200 yards on 27 receptions during the 2014 regular season. His role increased down the stretch and he played a pivotal role in the Patriots Super Bowl victory, catching five passes for 48 yards and a touchdown as the Pats utilized more three-receiver formations. With a new contract Amendola's usage could be on the rise in 2015 if he can stay healthy.